Joan Hazel is an accomplished Opera Singer and Voice Coach, turned published Writer, Speaker and Creativity Coach. Joan has published five books, teaches a variety of Creative classes and coaches clients one-on-one. Joan grew up on a farm in Tennessee and was the first in her family to attend college. With hopes and dreams of becoming a physician, her direction soon changed when she fell in love with opera, and against her family’s wishes, she switched from pre-medicine to music. During her time in graduate school, the constant scrutiny and judgement of professors and peers alike, brought on an extreme case of performance anxiety leading Joan to question everything from “did she have the right notes and rhythm” to “did she have the right shoes”. By painfully pushing through the fear and anxiety, Joan graduated with honors. As a professor of both voice and piano, she started to notice the same fears and insecurities in her own students that she found within herself. Knowing the pressure, fear and anxiety firsthand, Joan made it her mission to help her students through their fear and self-doubt in a healthy, self-empowering, creative way. Joan’s desire for understanding her own creative blockages, and those of others, sent her into a career-long journey of exploration. She learned that fear and doubt are learned processes, and we must understand where those fears and doubts came from for us to be able to release ourselves from them. 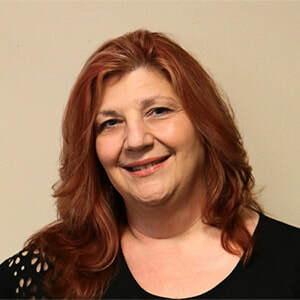 ​Blending her knowledge, experience, and a bit of intuition, Joan works with others to help them determine the issues holding them back from being the best creative they can. Her more than 30 years of performing, writing, teaching and coaching, Joan has personally faced and conquered many hurdles when it came to allowing her creativity to flow. You may not succeed if others do not believe in you, but you will never succeed if you do not believe in yourself.